Santa Fe is characterized by a strong cultural imprint resulting from the wide diversity of migrations that has nurtured its land. The initiatives comprise the enhancement and programming of the cultural infrastructures of Santa Fe. The cultural policies of the government provide a solid structure that enables individual and collective development. It aims at being a center for training, experimentation and research in the forms of the matter and in the art of living. The re-functionalization of spaces in different locations is promoted to offer a cultural project that is better balanced throughout the territory. The public space is seen as a provider of equal opportunities where the citizen is the main actor. It is designed as a place of integration, creation and play. Cultural industries facilitate the production of goods, providing a framework where they may be generated, transformed and presented. La Redonda, Arte y Vida Cotidiana is a cultural space established in a former railway workshop. 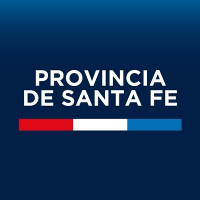 The Government of the Province of Santa Fe considers public cultural infrastructure as an essential element for the strengthening of civic integration. To such end, new spaces have been created to promote the creation, intervention, innovation, transformation and appropriation of culture. La Redonda, Arte y Vida Cotidiana is a cultural space established in a former railway workshop. The complex links the railway world and the history of Santa Fe, with an inclusive and innovative proposal. It also leads visitors into a world of art, imagination and construction, where the citizen is the leading actor. La Redonda is a place gathering performances of the most diverse disciplines (drama, music, dance, films and audiovisual arts, exhibitions), as well as a space for the organization of events, cultural forums and conferences. This facility is meant to provoke a strong involvement of all visitors by offering areas of training and gathering, workshops, playing devices. Playing, relaxing, reading, writing and dreaming are the proposals of La Redonda to encourage a process of learning and integration. El Molino was built up one of the most iconic factory buildings of the city of Santa Fe. It was designed entirely as a public meeting space for citizens. It is a proposal that combines creation and production. It aims at being a center for training, experimentation and research in the forms of the matter and in the art of living. The cultural factory seeks the articulation of special programs for teachers, university students and adults, and intergenerational and experiential construction programs for all ages. Based on the concept of living culture, Plataforma Lavardén stands as a space crossing artistic languages and expressions, its crosscutting axes being the thinking, the body, the speech and the image. Restoring a piece of architectural heritage, Santa Fe opened this space to the posing of questions about the citizens’ needs in the field of culture and education. It proposes a construction of culture with the citizens and not just for the citizens. La Esquina Encendida is a crossroads between the creation, education and leading participation of all neighbors, where young people are the focus. Its goal is to provide services to the community, support NGOs, organizations and groups as well as the general public who come to see the manifestations of culture, work, sports, recreation and play. This space functions as a multi-level social interaction setting for all ages in all seasons. This is a social, cultural and sports space that works as a system with El Molino “Fábrica Cultural” and La Redonda “Arte y Vida Cotidiana”. El Cairo is presented as a public space that establishes through its programming a place of exchange and dissemination accessible to all kinds of audience. This programming, expressing the richness and diversity of contemporary audiovisual productions, is organized in cycles, exhibitions, festivals, premieres and revivals in the second round of national and international works, with emphasis on the education of the public and democratic access to cultural goods. This public space requires the construction of a new concept of movie theater, since its screenings should be at the same time commercial, alternative, independent, national, local and international, and should be addressed to everyone: young, adult, popular and specialized audiences. Hence the programming of this new theater intends to expand the audiovisual offering addressed to multiple potential spectators.